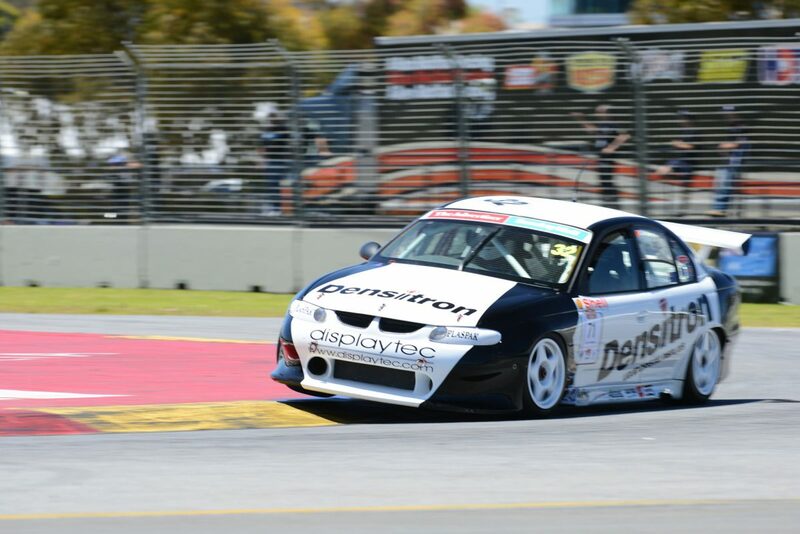 Ivan Capelli blitzed the Victoria Park Sprint Circuit lap record in front of a bumper crowd at the Adelaide Motorsport Festival. 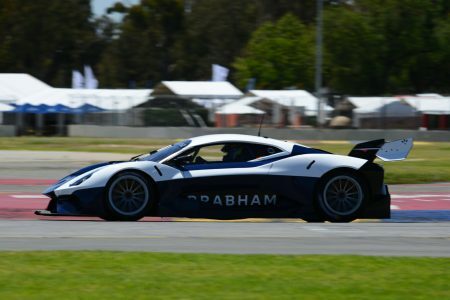 The former Ferrari Formula 1 driver took almost half a second out of the previous benchmark set by Supercars race winner Tim Slade last year. Capelli posted a 42.57s effort in a 1989 Leyton House which he drove in Formula 1 in period during the Sunday morning F1 session at the 1.4km circuit. The Italian had been determined to reclaim the lap record which he set in 2016 in the same car and came within 0.05s of doing so on Saturday. CLICK HERE to view the lap. “After two years.. the chassis is even tighter – in Italy we eat a lot of spaghetti! Jumping in a Formula One car without testing, without training obviously is very hard. But I can put together one lap and it was the lap that counted,” said Capelli. 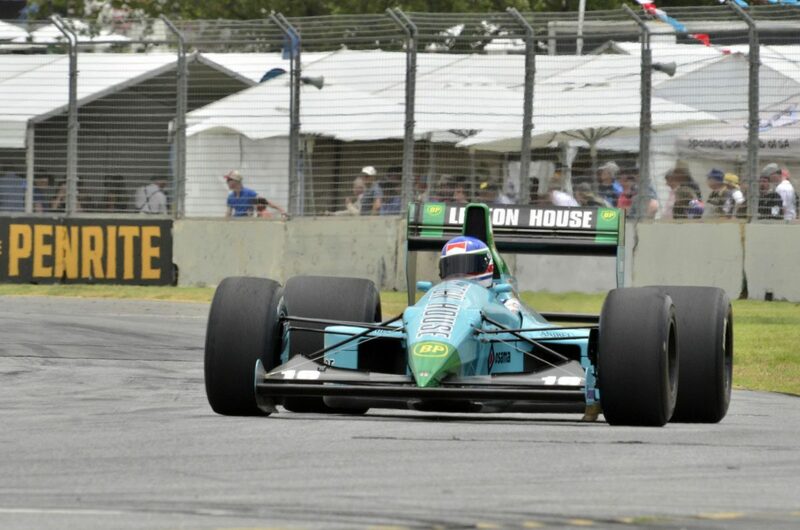 Former Super2 driver Josh Kean emerged as the nearest rival to Capelli as he posted a 43.05s in the 1994 Footwork Arrows that held the previous record. 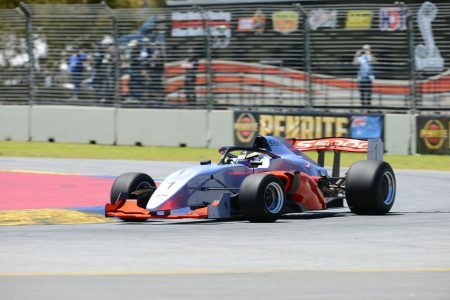 The all-new S5000 single seater clocked the third fastest time overall on its competitive debut with Tim Macrow behind the wheel. “The car is just a blast to drive – the car will be a great challenge for the drivers but, at the same time, is so driveable, you can place it wherever you want – and there is still so much more to come when we start getting stuck into our testing schedule,” said Macrow. “Couldn’t be happier with the S5000’s performance,” added category manager Chris Lambden. “We tweaked the wings and put on some tyres and found a second overnight – but the car is still very much ‘out of the box’ – ie we haven’t changed a spring or shock setting at this point. “To be eight-tenths off a pretty good F1 car, which is nearly 300kgs lighter and driven by its original pilot – someone I always rated very highly – is pretty cool. 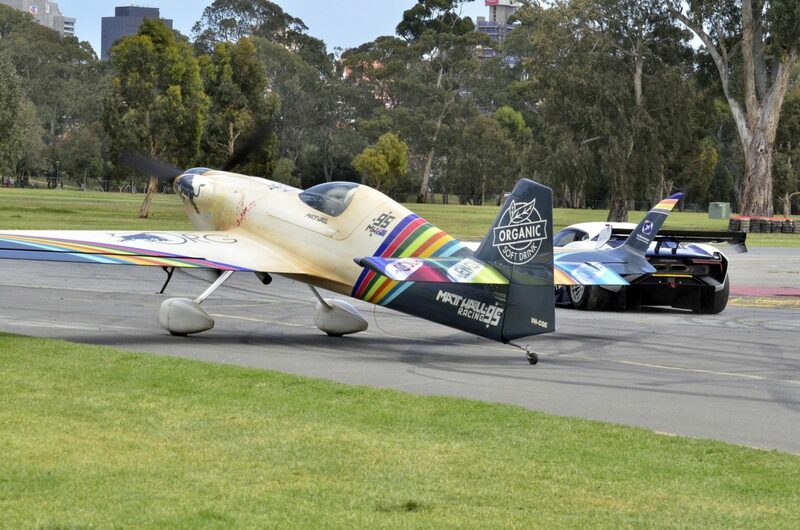 Moments after setting the lap record, Capelli then starred in an Adelaide-first series of drag races as three separate cars – one a street car, one a race car and the last an F1 car – took on Red Bull Air Race pilot Matt Hall in a series of match races along the start-finish straight. After Hall defeated Jim Richards (Porsche 911 GT2 RS Road Car) and then narrowly edged out David Brabham in the Brabham BT62, Capelli returned one in favour of downforce as the Leyton House beat Hall’s plane in the final sprint. Hall then celebrated his overall win over the land-based vehicles with a spectacular aerobatics display over the circuit. Meanwhile, Alister McRae combined with Craig Lowndes in a pair of runs in the Ferrari LaFerrari and an ex-factory Prodrive 1993 Subaru world rally car. Lowndes took McRae out in the Ferrari first before McRae returned the favour in the Subaru completing the run with doughnuts to wow the crowd. Demonstrations included touring cars from Group C, Group A and V8 era alongside a special Porsche display that included a pair of Le Mans 962s race cars to celebrate 70 years of the marque. Organisers have confirmed that the event has experienced a increase in crowd compared to last year.